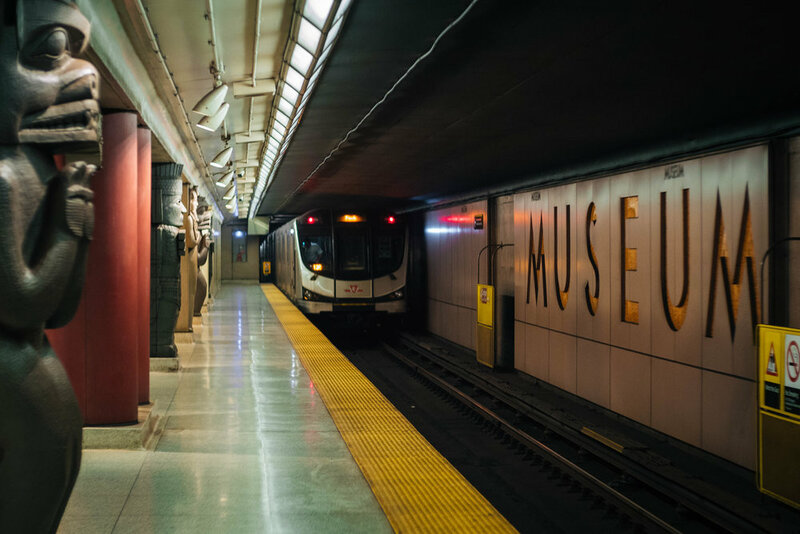 Museum Station has one of the boldest station designs on the TTC. Many of the columns are designed to resemble specific figures in reference to different exhibits that can be seen at the nearby Royal Ontario Museum. The pot-lights, while reminiscent of actual museum lighting, are not great for photography since they create hotspots that appear too bright on camera. This is especially apparent in contrast to the darkness of the rest of the platform. There's also this wierd cage at the end of the platform. And this payphone that is just standing in the middle of nowhere. The next station is Dupont.